When tooth decay requires treatment beyond the scope of a filling and yet the root is still healthy, a dental crown is usually the answer. Porcelain crowns can be created and placed in just two visits to Grand Dental Center. 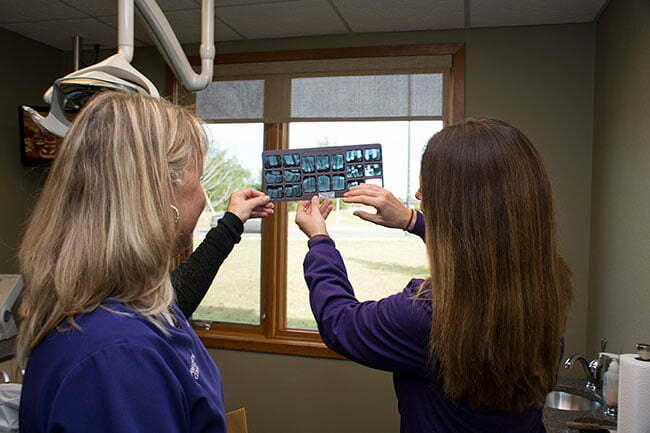 During your first visit, we will numb your tooth (or teeth) and remove any decay or other flaws, shaping the existing tooth so it can act as an anchor for your crown. Then an impression, or mold, of the tooth is taken and sent to the dental lab where your crown will be custom-made. During the two weeks that it takes to create the porcelain crown, we can fit a temporary crown to cover your tooth, protecting it and giving you a better chewing surface. At your second visit, we attach the new crown temporarily, and have you bite down to test the crown’s shape. If necessary, we’ll do some fine-tuning to make sure your bite is comfortable. Then once both you and we are satisfied, we’ll use dental cement to permanently attach the crown, and it becomes your new tooth. You deserve to have a terrific smile and Grand Dental Center can help make that happen. Give us a call today at 218-326-0339 to schedule your consultation.